Children may not interact with elderly adults very often, but that doesn’t lessen its importance. Spending time together positively affects both age groups. It also develops a respect for older adults in young children. So, here are some ways you can get your children involved with the elderly in your family and community. Not only are grandparents important in a child’s growing years, but they are the first link the child has to the older generation. Health issues may affect the type of activity, but there are endless options for games and conversation starters. This list contains 101 suggestions, from tea parties to reading books together, or blowing bubbles. Children and grandparents can also look through the grandparents’ jewelry box, or family picture albums together. This can start conversations and help children learn about their family history. Although this can be a bit of an uncomfortable experience at times, visiting an elderly care center can also be a great way to promote interaction. You can attend at a home a friend or relative is staying in. Holiday visits are always welcome, as these can be particularly lonely times. However, regular visits do a world of good. Children can bring an object related to the elderly person’s interests. Or, they can play a board game, sing songs, or accompany the older person on a walk around the facility. Serving the elderly is a fantastic way to build a relationship and promote a caring mindset. These kind gestures can be as simple as completing minor projects at home, such as cleaning windows or dusting. 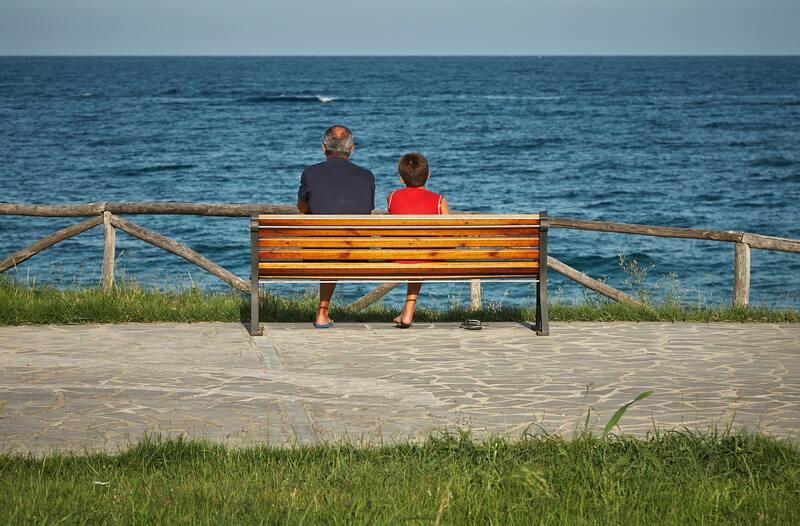 Encourage your child to just slow down and listen to the older person as well. Conversation is key to building the child’s respect and lessening the age gap. Children can give simple gifts, such as a picture or a small plant, to brighten the home. As children interact with the elderly, they also develop a respect for them and learn valuable lessons. These simple ideas make this process easy and enjoyable for both ages.